The Laser 360 Revolution is an innovative treatment approach to greatly improve skin health and appearance for people with all skin types. It combines various leading edge laser therapies for a nonsurgical face lift. The conventional surgical facelift remains the gold standard to which all facial restoration outcomes are compared. 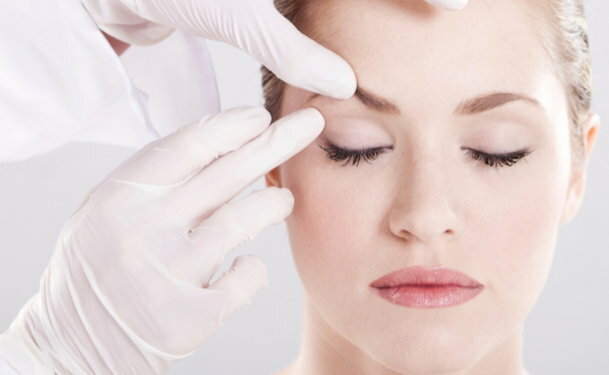 In skilled hands, surgical facelifts provide reliable improvement in appearance, but surgical facelifts come with significant down time, post operative pain, risk of infection and facial nerve injury. The nonsurgical facelift was created as a non-invasive solution for people seeking treatment for skincare problems ranging from brown spots, sun damage, fine lines and wrinkles, acne scars, loss of volume and uneven skin tone. As the skin ages, collagen and elastin production is reduced. Collagen and elastin are two fundamental elements that help maintain strong, elastic, and healthy appearing skin. When collagen and elastin are lost, hormonal changes, sun exposure, and environmental factors cause the skin to sag, appear more thin, and have more visible signs of damage. Non surgical facelifts like the Laser 360 Revolution treatment help to boost collagen and elastin production, while minimizing the signs of aging. Most patients have a multiple skincare concerns. Using a combination of various lasers in concert will improve these combination aging-skin conditions. The Laser 360 Revolution is a series of treatments that begins with a skin rejuvenation laser and skin tightening laser. This is followed with a microdermabrasion session one week later. The skin tightening laser will help tighten the sagging skin around the neck and face for a smoother and tighter appearance. The microdermabrasion session exfoliates any residual brown spots that become loosened with the skin rejuvenation laser. This treatment will help improve uneven skin tones, reduce visible sun damage and rosacea, and reduce fine lines. The next laser treatment is one week after the microdermabrasion and combines the Pixel resurfacing laser and the skin tightening laser. The Pixel laser technology penetrates deep into the skin to help fill in deep lines, reduce scarring and sun damage, and reduce the appearance of melasma by promoting growth of new collagen and elastin. The Pixel does leave a sunburned look for about two days followed by peeling. This is followed with another microdermabrasion session one week later to help the skin exfoliate completely after the laser treatments. This treatment can be done on the face, neck, chest, upper arms, hands, and back. It is recommended to do the face, neck and chest together to keep the skins appearance consistent. If you are a male and are worried about uneven hair growth from the laser (this is mostly due to the laser skin rejuvenation treatment), we replace the treatment plan with the Pixel, skin tightening and microdermabrasion every two to three weeks. For those with a darker skin tone, it is recommend to use hydroquinone 4% two times per day for two weeks prior to the treatment. It is also recommended to replace the skin rejuvenation laser with the pixel treatments only. The Pixel and the skin tightening laser from Alma Laser is a suitable option for darker skin types. Darker toned skin requires fewer treatments, usually spaced out at 3-4 weeks, and will take three months to achieve optimal results.